Bicycle Retailer has a little article to rub salt in Giant's wounds. 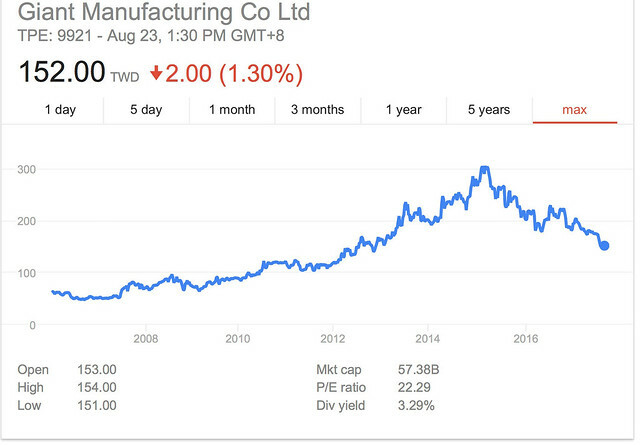 TAICHUNG, Taiwan (BRAIN) — Giant Manufacturing, a bellwether company within the industry's manufacturing sector, reported a 7.4 percent decline in revenue to $887.9 million through the first half of the year. And net after-tax income also posted a significant drop to $39.3 million, a 29.5 percent decline, due primarily to unfavorable exchange rates, Giant said in a statement. For example, over the first half of the year the U.S. dollar had strengthened against the NT, up about 7.5 percent as of June 30. Giant's first half report follows on a weak 2016, when it posted annual revenue of NT$57.09 billion, a 5.5 percent decline from 2015. The weak link in global sales for Taiwanese companies, including Giant, remains China. "Giant China's performance continues to suffer from soft demand and the popularity of bike sharing, which affected sales recovery in the first half," Giant said. "Whoever is president," Lo said, "is going to have to face reality. And the reality is: China is there, it won't go away, and it has a huge market that we are uniquely positioned to exploit." Taiwan’s manufacturers will benefit from a stable cross-strait relationship, said Tony Lo, chairman of the Taiwan Bicycle Exporters Association and CEO of Giant, the island and the industry’s leading frame maker. “Taiwan’s high-end bike export to China has grown 87 percent in 2011. It could double again in 2012. This will have a positive influence of the transformation of the Chinese bike market toward recreational and sport in the future,” Lo said in an e-mail. 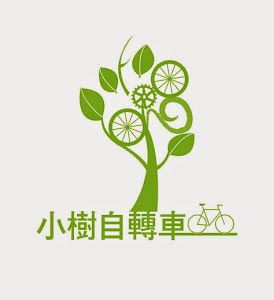 Lo cited Ma’s ECFA, or Economic Cooperation Framework Agreement, which eliminated duties on bikes shipped between Taiwan and China as of January 1. Since Ma signed the ECFA in June 2010—gradually reducing duties on bicycles and other consumer goods exported from Taiwan—the trade pact has already boosted business in China for Taiwan manufacturers like Giant, Merida and rim maker Alex Global.